On March 29, 2013, I will be joining countless others in supporting International Stand Up to Bullying Day. After nearly 20 years of working in kids’ bullying prevention, it becomes clear that the driving force behind bullying is lack of respect, for self and others. Kids grounded in respect won’t bully others to get or maintain friendships and won’t stand by while others are being bullied. 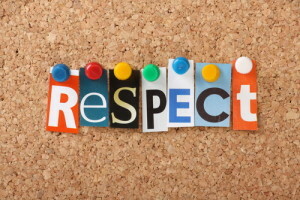 Create an environment where respect rules and 80% of your bullying problems disappear and the remaining problems are much smaller and more simply solved. And while this discussion is focused on kids’s issues, everything I say applies to adults and workplace bullying too! All kids (and adults) who live or work in a bullying environment are at risk of (further) damage to their self-esteem. Bullying affects everyone – bully, target, and bystanders. Bullies, lacking respect for self, put others down to make themselves feel better. Bullies also lack respect for others, and feel entitled to treat people badly in pursuit of their own goals. Targets can also have respect problems, often lacking the strength (self-respect) to walk away from bullies and frenemies. Middle school girls struggling on the path through the teen years, where friendships are inextricably entwined with self-esteem, are often willing to accept and submit to being both bullies and targets in the name of “friendship”. Reality shows like “Real Housewives” reinforce the expectation that girls’ friendships will be troubled, deceitful, aggressive, disrespectful, and occasionally violent. Research done by the Girl Scouts Research Institute in 2011 showed that girls 11-17 who watched the most reality TV had significantly higher expectations that these troubled relationships were normal and expected their own relationships (both friendships and romances) to be modelled after these frankly pathological role models. Bystanders suffer from bullying too. When you’re in a situation where others get bullied, part of your brain is always on alert, scanning for danger and looking for ways to keep you out of it. You are not fully focused on school or work. Your spirit suffers, and you lose your positive outlook and enthusiasm. And that’s not all. Bullying actually causes brain damage. The brains of kids repeatedly exposed to bullying show the same damaging changes seen in neglected and abused children. Stress hormones soar, growth hormones get suppressed, memory and concentration suffer, all the more damaging because it catches kids in their growing years. How can we protect kids and adults from bullying and its damaging consequences? Self-respect is a great starting point. 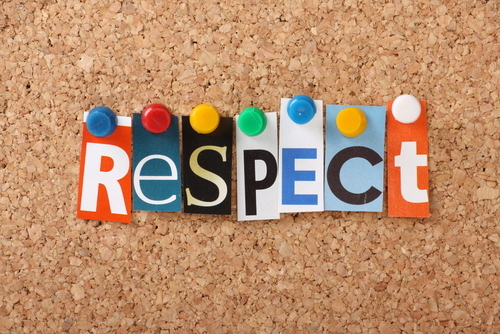 When we respect ourselves, it’s much easier to respect others. What does self-respect look like? Take a look at our October 31, 2013 blog post for a bullet point refresher, including a cute 12-Step infographic! Maybe if we went through the 12-Step Self-Respect Program as kids, we wouldn’t need so many other 12-Step programs later in life!